“God made Andalusia so there would be somewhere to go if anything happened to Heaven,” an old saying claims. Many of the estimated half-million Northern Europeans who have settled in the region would agree; they have found their little corner of paradise. This is certainly not the first wave of immigration to the area, but it is possibly the most peaceful. Phoenicians, Greeks, Romans and Goths all established themselves here, either as traders or through conquest. The Islamic invasions from North Africa were destined to last the longest – some 800 years – and are reflected in place names with Arabic roots, such as Andalusia itself as well as the region’s towns of Algeciras and Benalmadena. The thirteenth-century re-conquest by Ferdinand and Isabella imposed conditions on Andalusia that can still be felt today. Large estates, latifundias, allocated as rewards for land-hungry noblemen were the norm in what was then a frontier area. Many towns, especially to the west of Andalusia, still proudly carry the suffix de la Frontera. A garlic and almond soup called Sopa de ajo and the fried breadcrumbs known as migas are still common dishes that epitomize those hungry years when most of the wealth was concentrated in the hands of a very few. 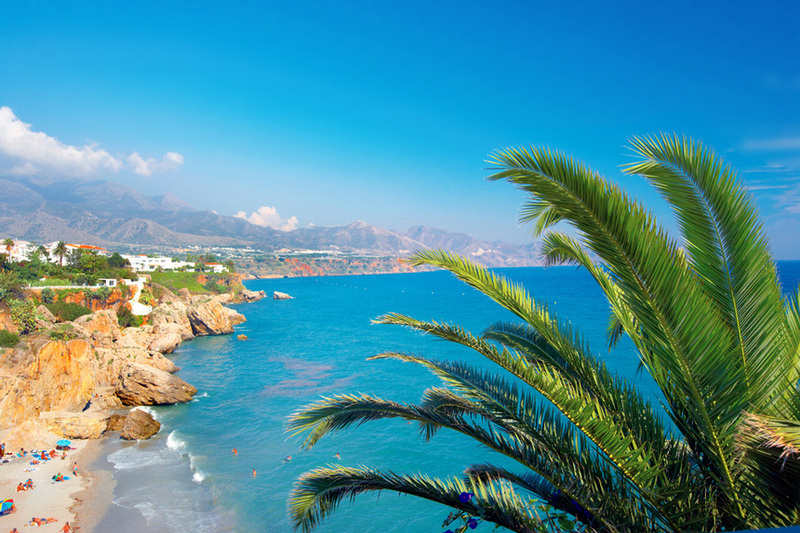 Like much of the Mediterranean, Andalusia has a narrow coastal strip backed by mountainous terrain. The difference in just a few kilometers, from beach to mountain village, can be startling. Different ecospheres and vastly different lifestyles abound; from the often brash coastal resorts to the relative tranquility of inland villages. Not all the coast is on the Mediterranean. Past Gibraltar and to the North of Cadiz is a little-known secret. The Costa de la Luz, on the Atlantic coast, with its surf beaches and fishing villages is largely undeveloped. Bargain properties make it a promising place for real estate investing. Quick profits might be that bit harder to come by though, as environmentalists fight developers to maintain the area’s natural balance. Ongoing scandals, notably in Marbella, in which many local officials have been accused of taking bribes in exchange for planning permission, are a powerful argument in the green contingent’s favor. One continuous urban development follows the beaches along the Costa del Sol from Malaga to Algeciras. The heavily populated area was not well planned and was often insensitively built in an initial attempt to accommodate droves of people on holiday from the north. Thankfully, though the Costa del Sol cheerfully caters to those wanting little more than sun, sand and cheap drink, it’s no longer the long homogeneous strip of happy hours and fish and chips. Nowadays, there are a number of separate, diverse communities among the urban congestion, and the “real” Spain is never very far away. Fuengirola’s Los Boliches is a perfect example. Its apartment blocks, initially intended as investment properties for short-term tourist rentals, have become home to a truly international community. With shops, bars and restaurants catering to all tastes this is home to expats from around the world and a large number of Spaniards from other parts of Spain. South African cuisine and Argentinean grills compete with Spanish regional restaurants. British butchers and Scandinavian bakeries are commonplace and even American breakfast spots are not unknown. Investment properties have become permanent homes where people from a great many cultures mingle harmoniously. This is certainly a noticeable phenomenon in a rapidly changing new Andalusia. Outsiders often picture Andalusia as little more than sun and sangria, with flamenco and bullfights thrown in as light relief. There is certainly plenty of sun, and a refreshing glass of sangria or the more popular tinto de verrano summer wine (basically red wine with soda and ice) is always welcome. And yes, flamenco and la corrida most definitely remain as vital parts of the Andalusian identity. 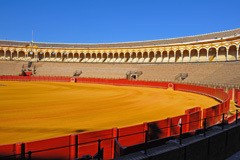 Many small towns host a bullfight during their annual ferias, or fairs. In a temporary ring erected for the occasion, the corrida is a social event par excellence. Barcelona’s recent decision to stop bullfighting isn’t necessarily a cause for celebration for those against it. 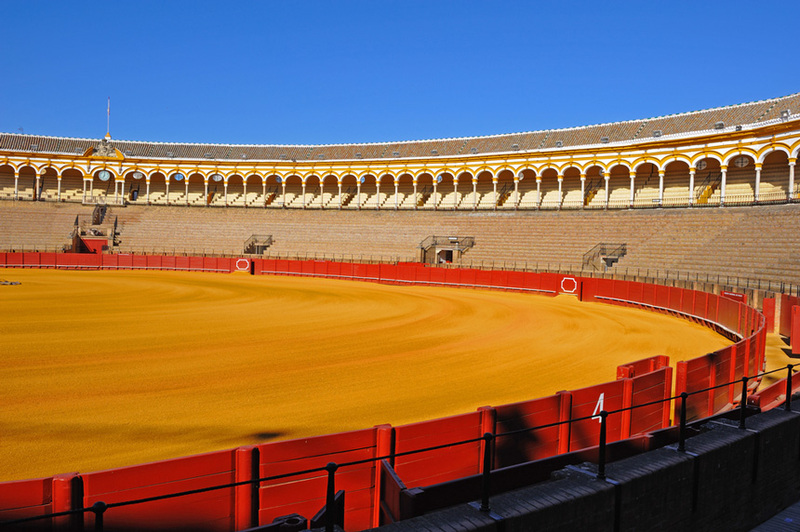 The corrida is still deeply ingrained in Andalusian culture. These local events are patronized largely by knowledgeable locals, often in traditional dress, who engage in a couple of hours of intense socializing where families meet and friends renew acquaintanceships. Flamenco is possibly one of the last true folk traditions in Europe and has very firm roots in Andalusia. Most small towns have clubs devoted to the art and it is not uncommon to hear spontaneous snatches of flamenco music in bars with men singing short verses, or coplas. When the singers are good – and some are very good – or if they capture the mood just right, everyone claps hands in time (a tocando), and isn’t unusual for someone to dance, gracefully, with controlled passion and always with style. Flamenco is by no means the only musical offering particular to Andalusia. Carnaval, a January event unique to the Cadiz region of Andalusia, is an exotic blend of pantomime, theater and satire performed in a competitive format. Groups of men dressed in wonderfully outlandish costumes and with outrageous makeup perform musical sketches with up-to-the minute, and invariably controversial, lyrics. People moving to Andalusia in search of Old World quaintness will be disappointed. It used to be said that Africa started just south of the Pyrenees but now it would be more accurate to say that Europe, with its higher standards of living and modern outlook, starts in Andalusia. More adventurous immigrants have been steadily moving away from the coast, attracted by cheaper house prices inland. Knowledge of Spanish certainly helps, but many local councils, such as Coin and Mijas, have foreigners’ departments devoted to helping new immigrants to integrate. Andalusians speak a heavily accented Castilian, often with a machine-gun rapidity. Nevertheless the natives are invariably delighted when foreigners attempt to communicate in Spanish, and most bystanders will offer good-natured, and patient, help and advice. Perhaps because many Andalusians have family experience of emigration (labor was a large export until as recently as the 1970s) they have great sympathy for the difficulties facing outsiders. An easygoing tolerance is standard practice. 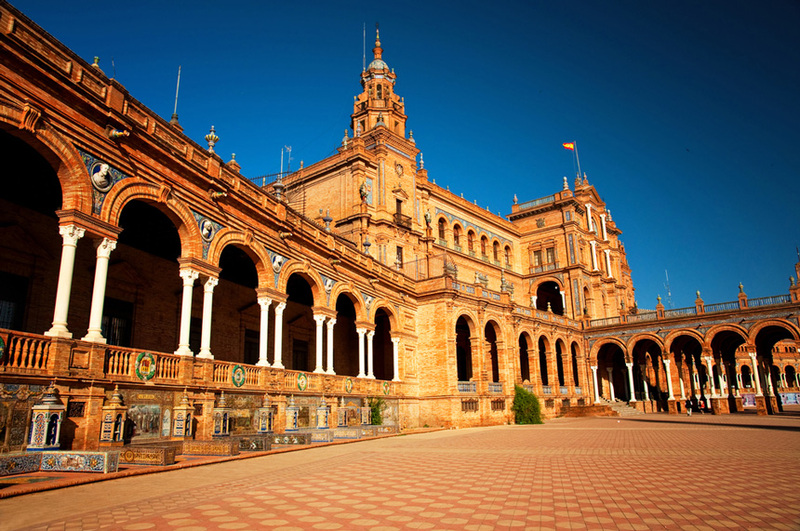 Finding a job in Andalusia isn’t always easy, but work is available. There is a definite shortage of skilled personnel in the health professions, and there are lots of jobs advertised in sales, not all involved with time shares. Anyone with information technology skills and fluency in Spanish will find openings. That common dream of opening a bar is not impossible either. Bars come and go, but even in the most popular tourist areas leases are always negotiable and almost always available. For those who can work from home, various broadband connections are readily available, but be prepared for frequent electrical power cuts. Increased purchasing power has resulted in fully equipped modern homes, but the infrastructure hasn’t quite caught up with the increased demand. The siesta is still an important part of the Andalusian lifestyle. There may well be pressure to conform to the work routines of colder countries but a couple of hours in a darkened room to avoid the fierce afternoon heat makes perfect sense in the height of summer. Customers in bars and restaurants and neighbors with their chairs in the street until the early hours can seem inordinately noisy, but the streets are deserted from around about two until five every afternoon. Shops close and an almost unnatural silence prevails. Agriculture plays a large part in the modern Andalusian economy. Plenty of winter sunshine ensures plentiful early crops of such delicacies as strawberries to fill the shelves of the world’s supermarkets. Supermarkets here are much the same as anywhere else. Two markets, Eroski and Mercadona, cater to most everyday needs and often stock foreign staples when there is enough local demand. Supercor is a bit more up-market, great for treats but expensive. Dia is unashamedly Spanish with many bargains on offer. There are still plenty of well-supported local outlets that are a bit more expensive than their larger competitors but they often have loss leaders and are wonderful places to practice the language. There has been a recent resurgence in smaller, organic production though, and farmers’ markets are multiplying. These local markets are worth seeking out, as they’re often less expensive than other suppliers and have tempting selections of seasonal foods. Restaurants are required by law to offer inexpensive lunches during the working week, and the “menu di dia” is often a real bargain. There’s often no written menu, which can post an obstacle for non-Spanish speakers. As a general rule, though, there will be a soup or salad for starters and fish or pork for an entrée, with a dessert of flan. As little as seven Euros can buy a whole meal, making lunching out a good way to get one’s fill of local flavor. Tranqilo is a Spanish word that perfectly captures the spirit of modern Andalusia. Difficult to translate exactly but with connotations of peace and calm, friendliness and acceptance, tranquilo speaks to what a welcoming place Andalusia is. Prices are still reasonably low, locals practice a friendly tolerance and there is a great variety in lifestyle options. The half-million recent northern immigrants can’t all be wrong.